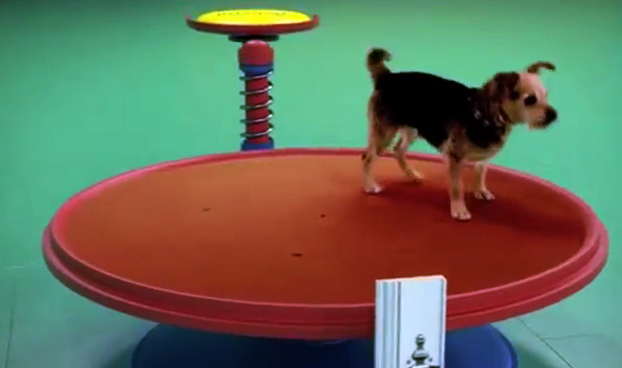 Beneful's Dog Goldberg Machine dispenses Tennis Balls. And Puppy Chow. What happens when Rover plays fetch with friends. Since Wieden + Kennedy's 2003 spot "Cog" for Honda, the ad world has made good use of Rube Goldberg machines--perhaps so much so that we need to put the amazing contraptions to rest. But we can't help but gush over this particular invention from dog food brand Beneful, which delightfully integrates tennis balls, dominoes--and of course, a whole army of adorable dogs and puppies.